A tire swing sways in the gentle breeze of an early summer’s evening outside DeGraff. Children frolic in the open yard of the old farmhouse. There are warm brownies and ice cold lemonade on the picnic table. The sounds of laughter, guitar music and singing fill the air. From her usual spot on the front porch, Mama takes it all in with a twinkle in her eye. Mama is 88-year-old Janice Lockard, who has emphysema and breast cancer. The matriarch of the Lockard family can rattle off the litany of her six children, 18 grandkids, 12 great-grandchildren, and three great-great grandchildren. On this night, her extended family includes staff members from Universal Home Health & Hospice Care. Mama has been with hospice for three months, receiving in-home medical visits and help with her daily routine. You wouldn’t know Mama is terminally ill. She cracks jokes and is the life of the party. On this night, she’s the reason for the party. Zoe and her siblings say they are able to enjoy the time they have left with Mama because of the support they are receiving from Universal Hospice, a United Way Funded Agency. With a team of physicians, nurses, social workers, clergy, aides, therapists, and volunteers, Universal Hospice works to care for terminally ill patients in their homes so that they can live as fully and comfortably as possible until death. $40,000 of your donor dollars are going to Universal Hospice to assure that no Logan County patient in need of care is refused due to an inability to pay. Karla Gingerich is the Medical Social Worker assigned to Mama. She often joins Mama on the porch to sit and visit. Gingerich says that part of the role of the Hospice worker is to facilitate conversations about end of life issues within the family so that everyone grasps what is happening . They even assist surviving family members in bereavement after loved ones pass away. But tonight, it’s a celebration. Terry Robinson, a Spiritual Counselor with Universal Hospice, leads rousing renditions of “You Are My Sunshine” and “Give Me That Old-time Religion” with his guitar. Kids take turns crawling off and on Mama’s lap. “I think attitude is a lot of it, don’t you?” says Mama with a smile. 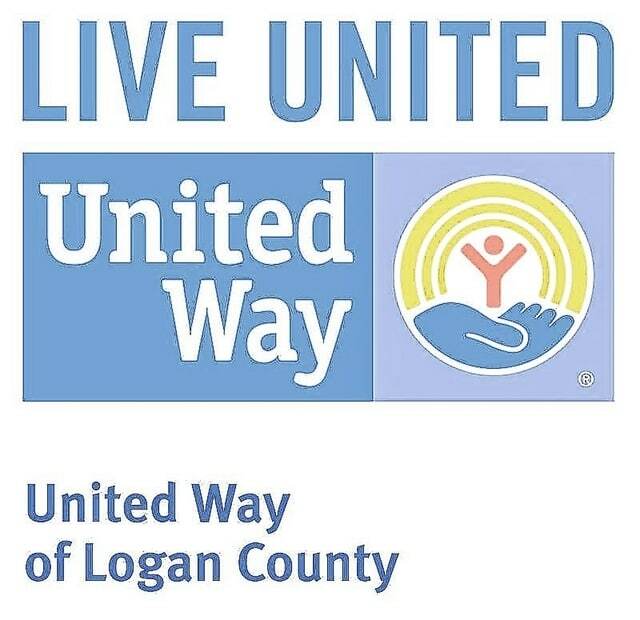 It’s the mission of United Way of Logan County to facilitate successful agency partnerships that enable a safe, healthy, and caring community. More than just a fundraiser, United Way has been a valued community partner since it was established locally in 1954, collaborating with businesses, non-profits, government, and civic organizations to help meet the social service needs of the community. For more information, visit www.uwlogan.org or call (937) 592-2886. For more information about Universal Hospice, please visit www.uhcinc.org.